Keep your guests safe in all weather conditions with this side wall kit. 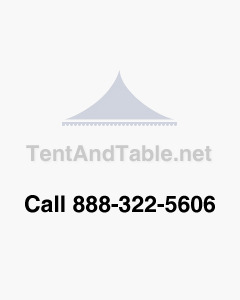 Designed for 20' by 20' tents with 7' tall sides, like our economy and pole tents, these commercial grade standard sidewalls are made from a white-colored and durable 14-ounce translucent PVC vinyl material that will keep the sun and rain away from your guests. Each of our deluxe economy packages contains two solid sides and two cathedral, or windowed, sides. Our tent add-ons like this will last many seasons and are great to both enhance and improve your rental business, and the side walls each have loops that are color coded so you can find them easily on your storage shelves.